This entry was posted in 2016 Corel Painter Posts and tagged Hightail. Bookmark the permalink. Hey Skip! Lovely photo. I love going up and down the Trace. It’s so peaceful and SLOW. Yes it was very dry. Our yard grasses all died, even the bahia and you know how tough it is. It was like walking over a field of dry leaves…crackle, crackle. 🙂 Luckily, when it did rain, it started with a slow one over several days. We sure soaked it all up! You should go down 469 to Mendenhall! There is a nice, wide, newer road now that goes straight on past the post office (skips the curve) and bypasses Braxton. It comes out at the 4-way in D’Lo. You’ll just be amazed at how 469 has changed and ALLL the ppl living along it now!! Next visit I will definitely go down Highway 469…it’s like going down memory lane with a twist. I’m sure I will be homesick for the old stomping grounds. That is a beautiful photo, it could have been taken in Florida too. This part of the U.S. looks much the same in the water areas. Re alligator sightings, I can definitely do without those. Have you ever looked at their eyes? They give me the shivers…LOL. This business with Hightail is a bummer. Sometimes when companies change hands it works, other times like these, not so much, and what a pain that you must not only move your files, but change all those links too…aaack. LastPass Pro which I’ve been using for years just changed hands a couple of months ago. So far so good, I hope this continues to be true. I would also hate to have to make a change. Re any missing files, as Marcia said, just holler if there are any particular file you need to have replaced. I’m sure this is something which can be done by one or more people since so many of us have been collecting “SA” brushes for years. Thanks for the comment on the photo. I really am enjoying my camera, but I have tons of photos now that never see the light of day. Photography is definitely an obsession of mine. Here is something interesting about Hightail. I got a note last evening from a customer service manager apologizing for their mess up. She has offered me a full refund for this year and a free next year. I have responded that I will take the refund, which I believe is fair, but that I will not be continuing to link things to their site because I have lost trust. Now I am waiting to hear back. She may not offer the refund since I am leaving the site. She said that they moved some servers and a “very small” number of customers lost files. She didn’t seem to concerned about it. I thought the same thing that you and Marcia thought. I just need to ask for the files back, but it isn’t that easy. As a matter of fact, I started replacing the lost files from files I am currently using. Then I remembered about compatibility. Anything I fix in 2016, would not work for those still in earlier versions of Painter. The earliest version I still have installed is Painter 12.2. So when recreating files, I needed to be in 12.2. I also had files that would work with IX, X, and 11. I lost a few of those and I cannot recreate them. I’m not sure how many folks are still using those earlier versions, but I did like having them available. But even stuff I did after Painter 12, has to be recreated in the proper version to keep compatibility. It is a lot more complex than I realized at first. I am interested in what I come up with for class, too…LOL. I keep changing stuff. I probably have a lot of your brushes from older versions of Painter because I keep a lot of my older files on External Hard Drives. If you’re looking for anything in particular, let me know, I just may have it. Thanks for the fyi re Hightail  good to know. Pic from the Natchez Trail Parkway is gorgeous! Thanks for sharing. Thanks for the comment. I love the Natchez Trace Parkway…because it is so long, it has a variety of landscapes. Follow-up with Hightail, they are offering me a refund of my annual fee and an additional free year. That is good news, but too late. I lost files and cannot risk linking other stuff at Hightail. Totally agree with your comments about Hightail. I gave up on them as well. Presently I use DropBox but would love to hear of other services that can handle large file sizes. I have a Drop Box account, too. I started with Hightail, well, it was You Send It, and I had so much stuff there, that I didn’t want to change. But, there comes a time when we have to give up. One interesting note. I responded very negatively to the service ticket survey and late yesterday afternoon, I got a not from a Customer Service manager offering a full refund for this year and an extra free year. I told her I would accept the refund, but that I had lost trust and didn’t think I would be linking anything with Hightail again. It will be interesting to see if she follows through on the refund. I don’t understand why it wouldn’t be automatic and why she had to ask if I would accept it. We will see…and I’ll let everyone know. Another friend sent me Alternatives to Hightail. Check it out. Skip, what a sense of humour. Yes, please keep away from alligators, not even to look at them. I see enough of them in daily news. And we like your creativity with Painter…. I got to look, but I will keep my distance. 🙂 Good to hear from you. 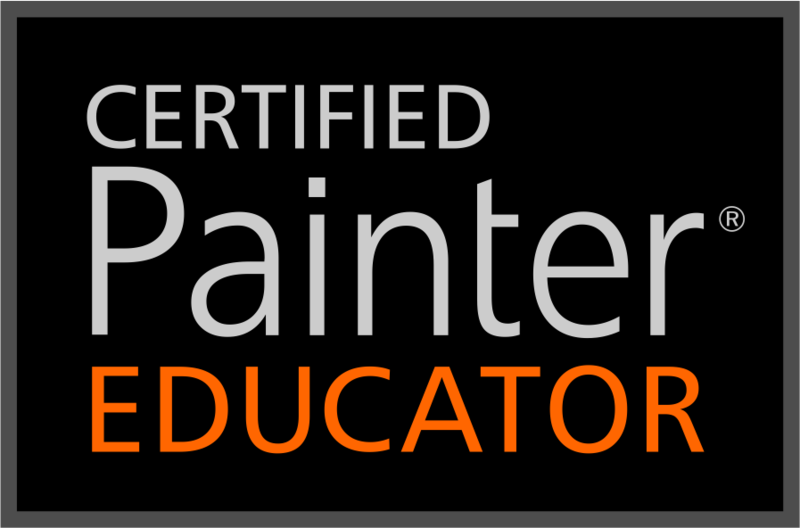 Thanks for all of the work you’ve put into creating and sharing your brushes, maintaining this site, sharing your resources with the painter community, etc. — it’s greatly appreciated. Thanks for your note. Hightail did give me the extra year and the refund, but I have changed all of the links to another place…at least the ones that were not lost. The stuff that was lost was very old and I don’t think it needs to be updated. It would have been brushes that worked in Versions IX.5, X, and 11…and most have updated to newer versions. So I think I have everything that works with version 12.1 up to 2016. But thanks for the offer.